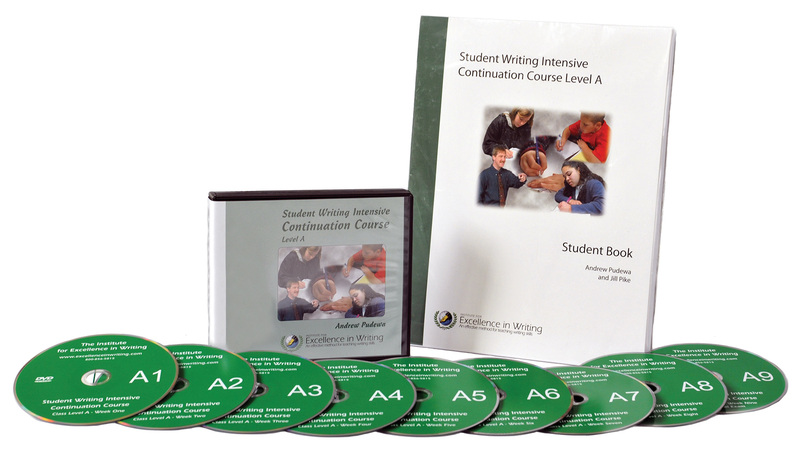 Students who have completed the Student Writing Intensive Level A can continue on with this enjoyable writing course on DVD. Providing one to two years of instruction, it presents new models and techniques while allowing for ample practice and reinforcement. This course picks up where the Student Writing Intensive Level A left off and advances writing strength. Students continue to use the same binder and charts, while learning new models and techniques not previously presented in the SWI. Additional student handouts are necessary for families with children who will be viewing the SICC DVD course in a co-op setting. Available as hardcopies or in e-book form. Prerequisites: This course assumes that the student has completed the Student Writing Intensive Level A or has had equivalent instruction. For a long time it was Andrew’s dream to teach and record a set of classes just like he would teach if he could be in your town each week. While the Student Writing Intensive has helped thousands of families around the world, some parents want or need additional direct instruction for their students. This is that course. Contents: Recorded live, this series picks up right where the Student Writing Intensive Level A left off. Students may continue to use their same notebook and charts, learning new models and techniques not previously presented in the Student Writing Intensive. New charts and models are provided in the student packet for students who would like to freshen their notebook. A new binder may be purchased here. In addition to the recorded sessions on 9 DVDs, included e-books contain the teacher’s manual, student samples, and the original handouts used on the recorded lessons. 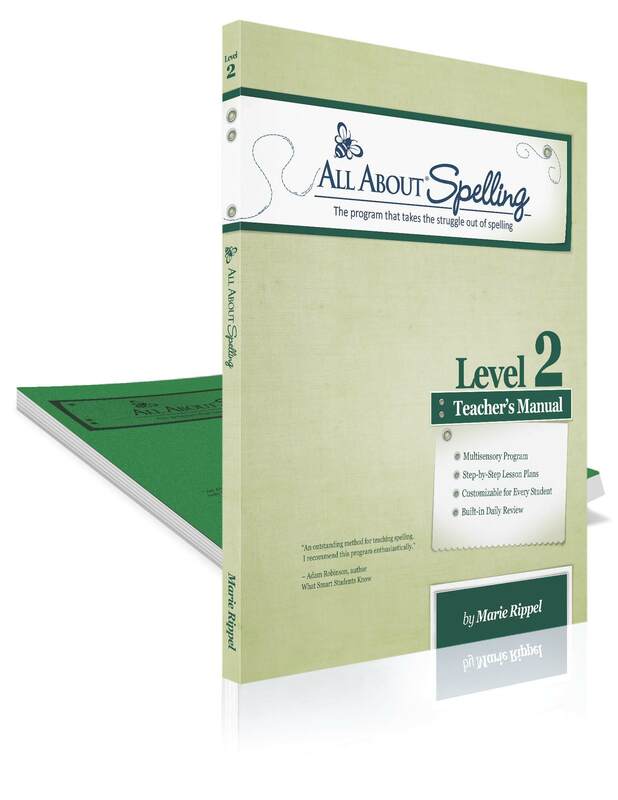 An expanded student book is provided in a packet (loose-leaf and three-hole punched) which provides everything you need to teach this course over one to two years. The teacher’s manual provides direction for planning the course. For class details and options for shortening or lengthening the course, read the instructions provided in the Teacher’s Manual sample. Who should purchase this course? This course is not meant to be a replacement for a real teacher using the Teaching Writing: Structure and Style program. 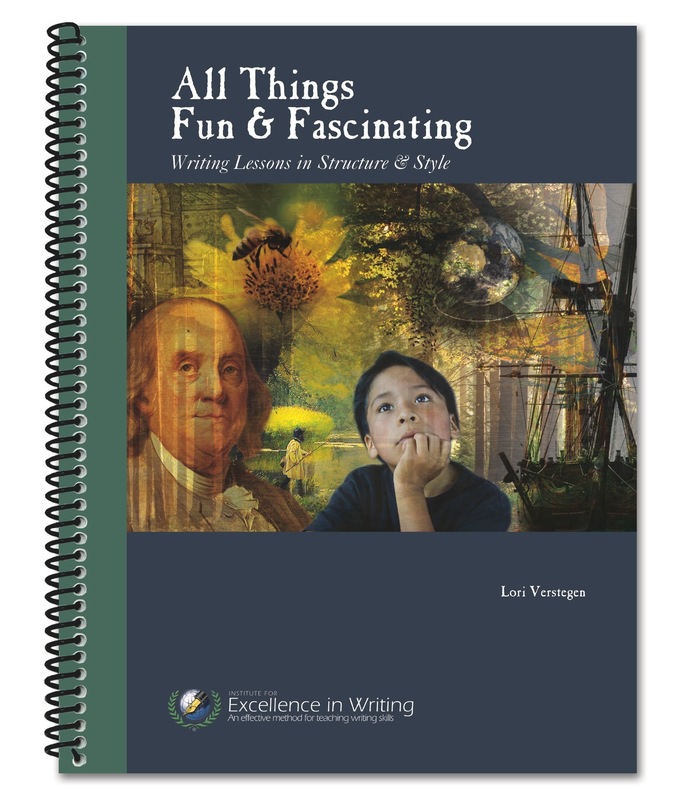 It is designed for students who enjoyed the Student Writing Intensive classes so much they just want more, for families or teachers who want to further improve their teaching of writing and would benefit from exposure to a more comprehensive set of demonstration lessons, or for students whose primary writing instruction does not include Structure & Style, and who wish to supplement what they learn in school. Should you purchase this level? Upper elementary age students who have completed the Student Writing Intensive Level A are ready for the Student Writing Intensive Continuation Course Level A. Students who have completed the Student Writing Intensive Level B course but are still of upper elementary or lower middle school age will also enjoy the Student Writing Intensive Continuation Course Level A. Home use: You may print this Teacher’s Manual as needed for use within your immediate family. Small group or co-op classes: The purchaser may print this Teacher’s Manual for use within their small group or co-op. Each teacher and participating student or family is required to purchase a Student Book (hard copy or e-book). 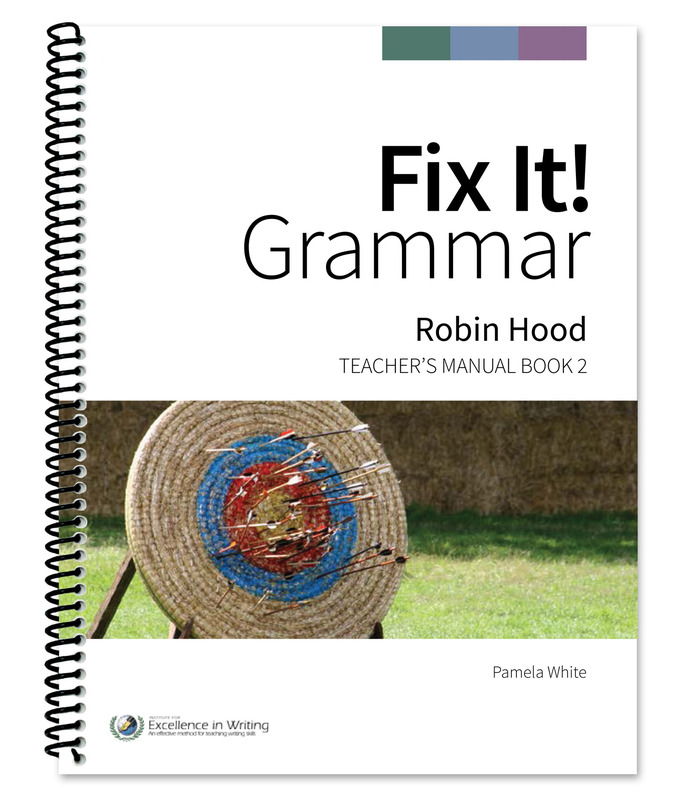 Classroom teachers: This Teacher’s Manual may be printed for use within your school. A copy of the accompanying Student Book (hard copy or e-book) must be purchased for each participating teacher and student. Library use: A library may print one copy of this e-book. Printed materials and DVDs may be checked out by patrons provided they agree not to make copies. Home use: You may print the contents of this Teacher’s Resource e-book as needed for use within your immediate family. 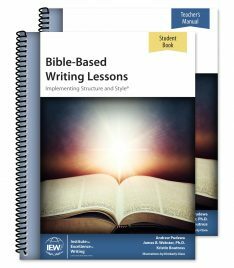 Small group or co-op classes: You may print the contents of this Teacher’s Resource e-book as needed for use within your small group or co-op. Classroom teachers: You may print the contents of this Teacher’s Resource e-book as needed for use within your school. 9 DVDs – Total time: 13hrs., 13 mins.